I received some new Anastasia Beverly Hills Liquid Lipsticks the other day and when I saw this shade ‘Midnight’ I just knew I had to create a makeup look for you all. It’s definitely not a look I’d wear out.. Unless it was Halloween but I had fun creating this more Dark and Vampy look. I wanted to create a really flawless base for this look so opted for my trusty Mac Studio Fix foundation, I just find this foundation to give me the best cover without making my skin look dry. I would like to find a few more full cover foundations though so if you have any recommendations then please let me know! I used the Urban Decay Naked Skin Concealer mixed with a bit of my Mac concealer, the UD concealer is pretty amazing but the shade is a little too light for me hence the reason for mixing. I used this just under the eyes to brighten up the area slightly. On the eyes I used my Too Faced Semi-Sweeet Chocolate palette, I absolutely adore this palette I love both of the chocolate bar palettes but this has been getting a lot of love lately. I just popped some warm brown shades on the crease and outer crease then added a dark chocolate colour to the lids and lower lash line. I love this smokey eye look it’s super dramatic and sultry plus the lashes look amazing don’t they? These are the Girls With Attitude Double Take lashes in Kiera, they are just £5 what a bargain! Finally I contoured using my ABH Powder Contour palette then added some highlight using an Inglot loose shimmer powder that I got at Imats last year. To complete the look I added Anastasia Beverly Hills Liquid Lipstick in ‘Midnight’ this black shade is super dramatic with a blue undertone that’s actually very flattering. 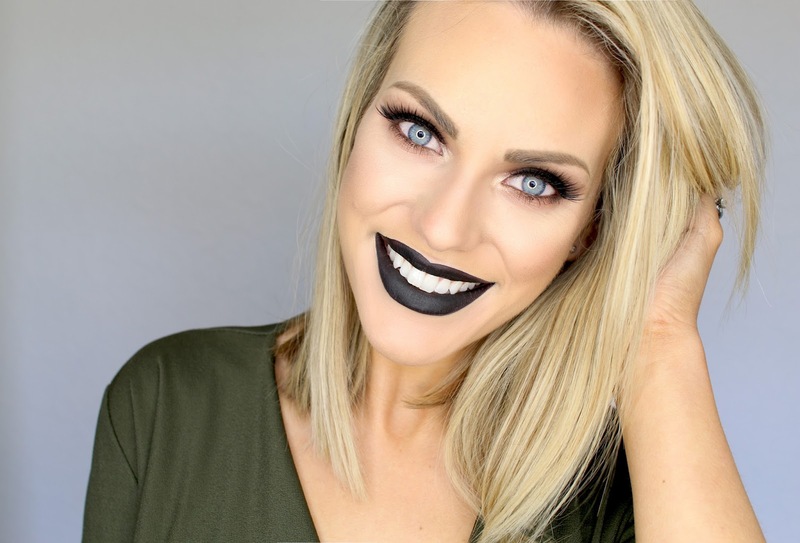 I have tried a few black lipsticks in the past for various Halloween/Dramatic looks and they’ve always made my teeth look super yellow but as you can see with this shade it does quite the opposite it’s like magic! 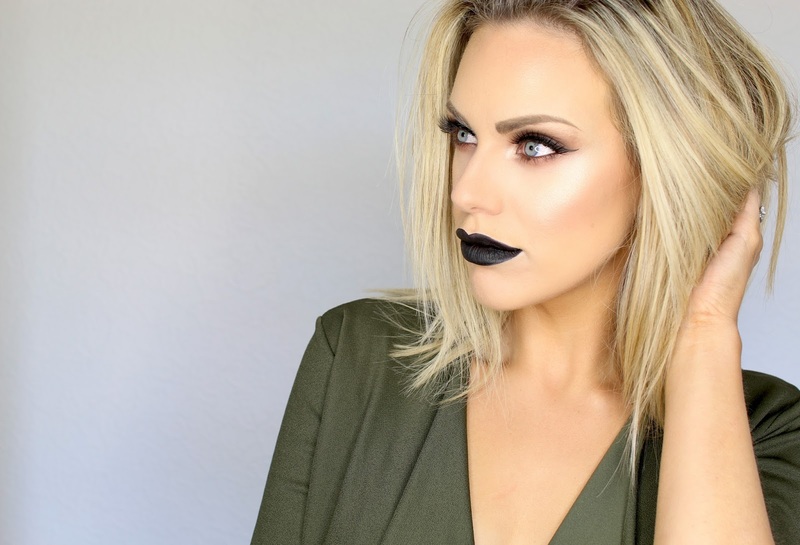 Have you ever worn a black lipstick? What do you think of matte liquid lip products, do you own any and have a favourite?